You are currently browsing the Archaeofacts.com archives of Musings for the day Friday, July 6th, 2018. 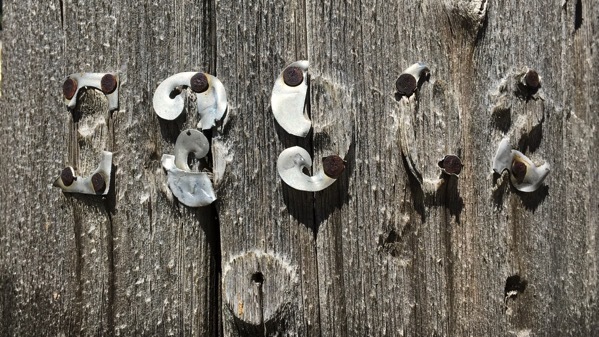 Several things about these numerals aging in place on this wooden phone/power pole are interesting. What compelled me to photograph it was that the body of the pole is clearly significantly eroded, leaving the metal pedestalled on the original surface.